Folio Luxe is the same Folio you know and love infused with glittering metallic strands, perfect for glamorous accessories. 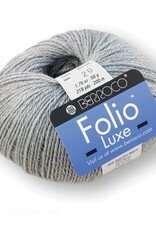 Folio is a luscious, superfine alpaca that feels as soft and luxurious as cashmere. 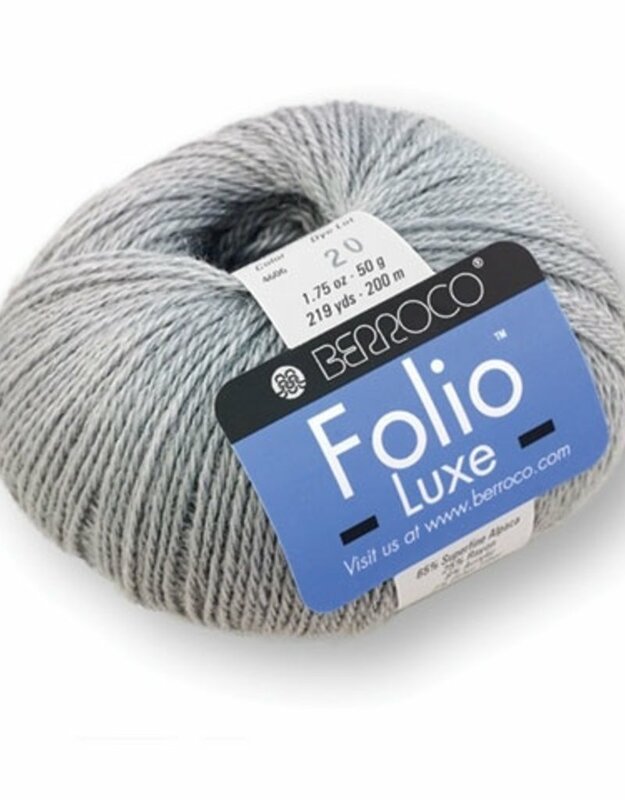 This trans-seasonal yarn can be worked on a wide range of needle sizes and is a perfect choice for projects that flow, wrap, and drape. Ball Weight: 50g – 1.75 oz Ball Length: 219yds – 200m Knitting Gauge: 5.5 sts = 1" 22 sts & 32 rows = 4" (10cm) Needle Size: 5 (US) / 3.75 mm Crochet Gauge: 5 sc = 1" 20 sc & 26 rows = 4" (10cm) Hook Size: 6(G) (US) / 4 mm Yarn Fiber: 65% Alpaca 35% Rayon / Viscose Yarn Wash Info: Hand wash in cold water. Lay flat to dry.